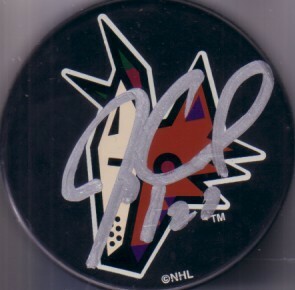 Phoenix Coyotes puck autographed in silver paint by former star Jeremy Roenick. With certificate of authenticity from AutographsForSale.com. ONLY ONE AVAILABLE FOR SALE.